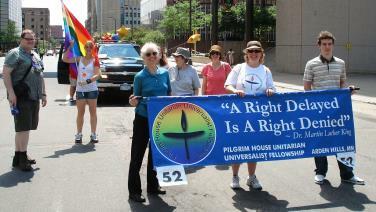 Visit the UUA Welcoming Congregation Page for more information on Welcoming Congregations. There is a Monthly Welcoming Congregation Bulletin. Therefore, we declare ourselves to be a Welcoming Congregation. 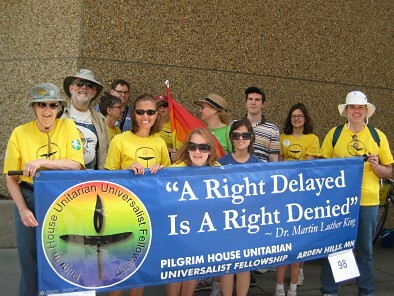 Pilgrim House voted to renew the declaration at the Annual Meeting of June 4, 2017. More photos from the 2008 Parade!